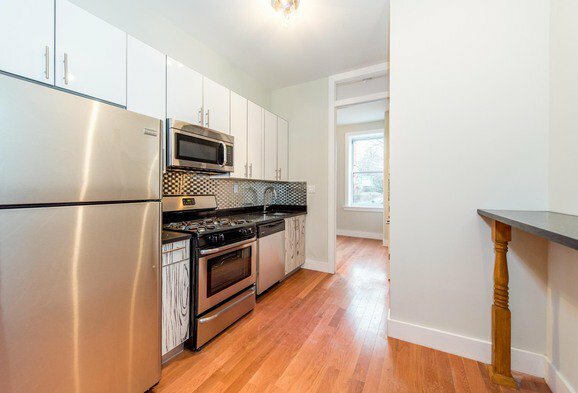 Looking to switch it up from renting typical cramped NYC apartments? 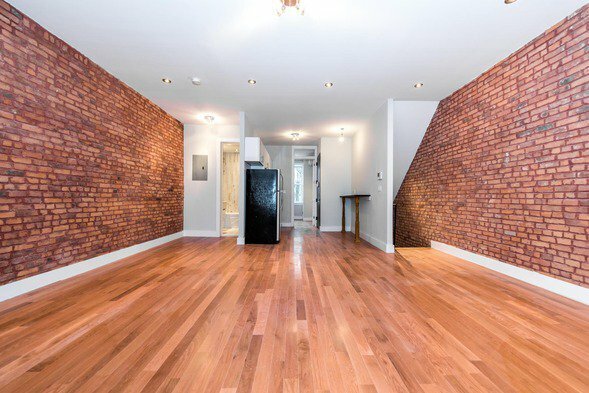 This 4-bedroom Bushwick duplex with private outdoor space may do just the trick. Loaded with the charm of exposed brick walls and the modernity of updated appliances and fixtures, this unit offers a luxe touch at an affordable price. 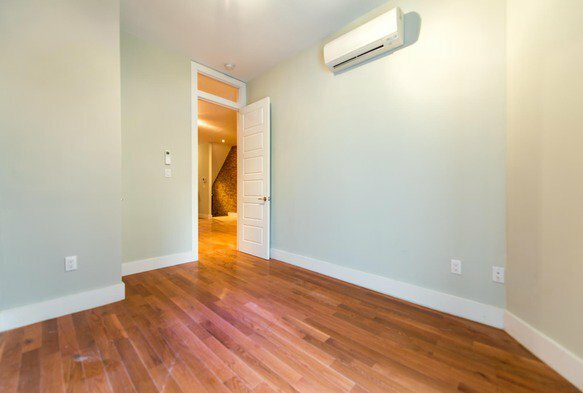 Listed for an even $1,000, a room in this Bushwick duplex offers a serious bargain for renters on a budget. Even if you’re not thrilled about the idea of sharing the apartment with three other roommates, keep in mind the median rent in the neighborhood was last recorded at $2,650. In addition to the affordable rent, there is no broker’s fee for this listing, saving potential renters even more cash. You’ve got more important things to spend your funds on…like lawn furniture for your private yard. A second bathroom is crucial to the sanity of any renter living with multiple roommates and thankfully this 4-bedroom has a two to spare. Overall, the layout is spacious here with common space on both the upper and lower levels as well as private backyard. Each bedroom is large bedroom and has a closet, offering storage in a city where that is notoriously low in supply. The kitchen is also spacious, offering room for a dining table. Modern updates include new fixtures and finishes in the kitchen and bathroom as well central air conditioning. No more fumbling with window air conditioning units. Laundry in the building adds convenience and if you have a four legged companion, pets are allowed on a case by case basis. While the apartment is closest to the L train station at DeKalb Avenue, residents do have the option of taking the M at the Knickerbocker Avenue station, which is about a 15 minute walk away. Over the past decade, Bushwick has become insanely popular with an artsy, hipsters set looking for the creative vibes of Williamsburg but a lower price point. Many of the neighborhood’s aging warehouse walls feature graffiti murals and now many of the side streets feature small galleries. It’s not uncommon on weekends to find groups of tourists on guided walking tours exploring the art along Troutman and Jefferson Streets. Free events like Bushwick Open Studios draw crowds to the neighborhood throughout the year. In addition to art, Bushwick offers heaps of nightlife and delicious restaurant fare from places like Guacuco, Lot 45, Idlewild, and The Sampler Bushwick. Having two roommates is a challenge, but three may be one roommate too many. If you’re a bit apprehensive about communal living, this may be a hard pass.